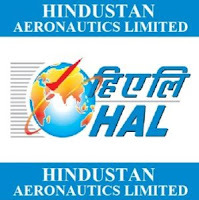 Hindustan Aeronautics Limited is an Indian state-owned aerospace and defense company headquartered in Bangalore, India. It is governed under the management of the Indian Ministry of Defence. Applicants who have completed B.A / B.Ed or equivalent from a recognized Institute for HAL Recruitment 2019. Eligible & Interested candidates can Download Notification From Official website page at www.hal-india.co.in HAL Recruitment 2019.